If you're ready to propose to your partner, you'll want to make it a special moment. 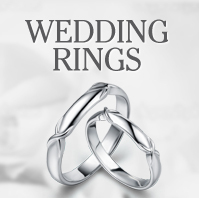 Even if you have chosen the right time and a romantic setting, having the right ring is extremely important. 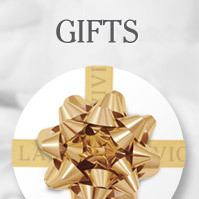 At La Vivion, we've helped hundreds of people their own unique engagement rings. 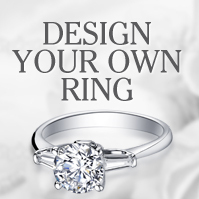 Choose your diamond – Choose from over 70,000 stones to begin creating your ring. Remember the 4 C's of diamonds – carat, cut, clarity and colour – when selecting your stone! Choose Your Setting – Your setting is the band and clasp into which the diamond is mounted. You can choose from a variety of different materials such as white and yellow gold or platinum, to create your unique engagement ring. There are also a variety of different styles available including vintage, classic and halo design bands. Personalise – To create absolutely unique engagement rings, we offer a personalisation service. You can engrave a special message or you and your loved one's initials. You can also include a message in the box and have it gift wrapped. Platinum – Platinum is a highly durable metal. Its brilliant natural white sheen will never change and it also accentuates the dazzling light given off by diamonds. Yellow Gold – The most common form of gold. Its warm, golden sheen comes from combining natural gold with a number of red and green shaded alloys. White Gold – White gold is characterised by its sleek, silvery appearance which is the result of the gold being combined with metals known for their white colouring. The gold is then plated with a hard metal, like Rhodium, to improve its durability. Rose Gold – Rose gold gets its unique colouring from the marrying of gold and copper. Sterling Silver – Sterling Silver is created from 92.5% silver to 7.5% copper. This improves the silver's durability without compromising on its beautiful shiny finish. When it comes to picking the right diamond for your ring, make sure you take into account the 4 C's. Cut – A diamond's cut affects its colour and brilliance. A diamond with good cut will demonstrate great colour, diminish its inclusions and feature good symmetry and proportions. Carat – The carat of a diamond is its weight. As the carat weight increases, so does the diamond's rarity and price. Two diamonds may have the same carat weight, but still be different values as their cuts, clarity and colour may differ. Clarity – The clarity of a diamond is determined by the amount and location of any flaws and blemishes. Clarity grades range from Imperfect 3 to Flawless. Colour – Diamonds are available in many different colours, but jewellers often focussed on the white range. They are graded from D-Z, D being colourless (highly desirable) to Z being light yellow. Contact us on 0800 046 1340 to learn more about our unique engagement rings.